It was the Mediterranean theatre which saw the blooding of the US Army against the German Wehrmacht, in North Africa in winter 1943/44. After this rough education the US forces pressed on to Sicily, the South of France and the Italian mainland. Here, faced by difficult terrain , they and their British Commonwealth allies fought a long campaign until VE-Day. 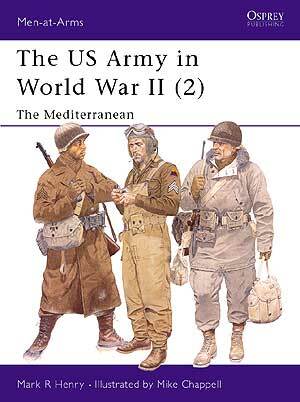 This second of a series of three MAA titles covers the uniforms worn on these fronts, including US Army cold weather, airborne and tankers' gear; some particularly interesting and important units, including mountain, Japanese-American and African-American troops; and a variety of crew-served weapons.